Hello and Welcome to the LED Skin Care Spa! So what brings you to our site today? Acne, Thinning or Balding Hair or Aging Skin issues? 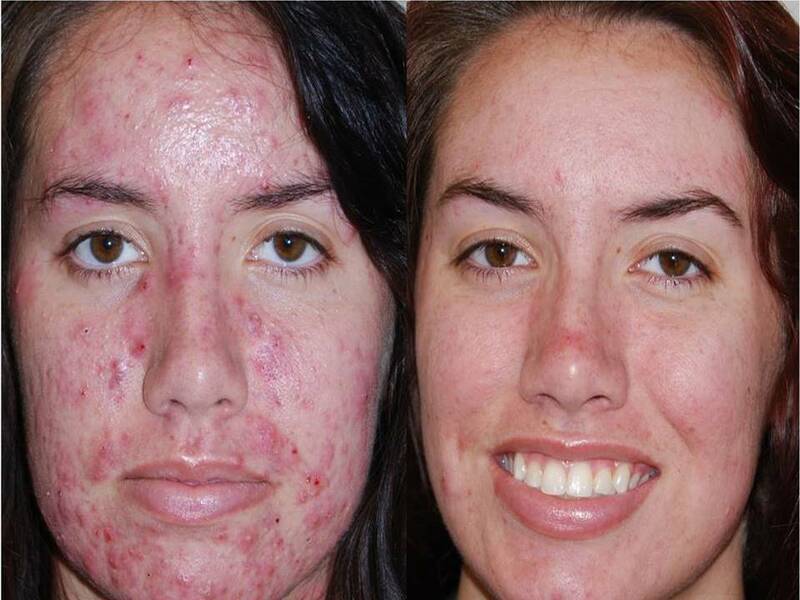 Since 2007 we have been delivering true skin changing results. Our “Inside Out” philosophy is nothing you have heard before and delivers like nothing you have experienced in this industry. Hard to believe, but until you experience our LED Glow Facial you’ll not know the difference. We can’t wait to meet you and deliver what you’ve always wished for in a facial. Book your appointment here! We are going to share things with you about your skin, and body, that you might have read or heard about, but did not really understand the WHY behind these discoveries, what’s hype, marketing and what really delivers. In addition, you’ll be happy to know, we are a Science Based Spa. What does that mean? This means we are not into hype. We research and test all our products and treatments for their proven science and results. Our “Inside Out” philosophy set us apart from traditional sucking, burning, peeling, solutions that this industry promotes. When you ignite new skin cell, development, growth, and health, and stop free radical damage, the end result is so different from all the rest. During your consultation, we’ll explain more and why our clients get such amazing results. 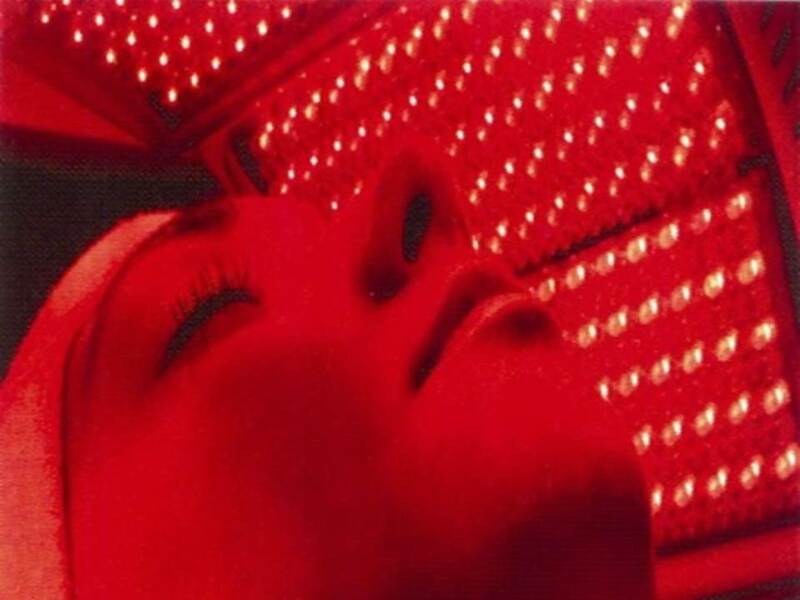 Treating your skin with LED is not new to us. Since 2007 we have been working with world renowned LED researchers in unison to perfect our LED protocols, treatments and services. Our LED experience sets us apart from others just now “trying” LED in their treatments. LED, Hydration, Detox, Non-Invasive skin and body rejuvenation are some of the many things we do differently. 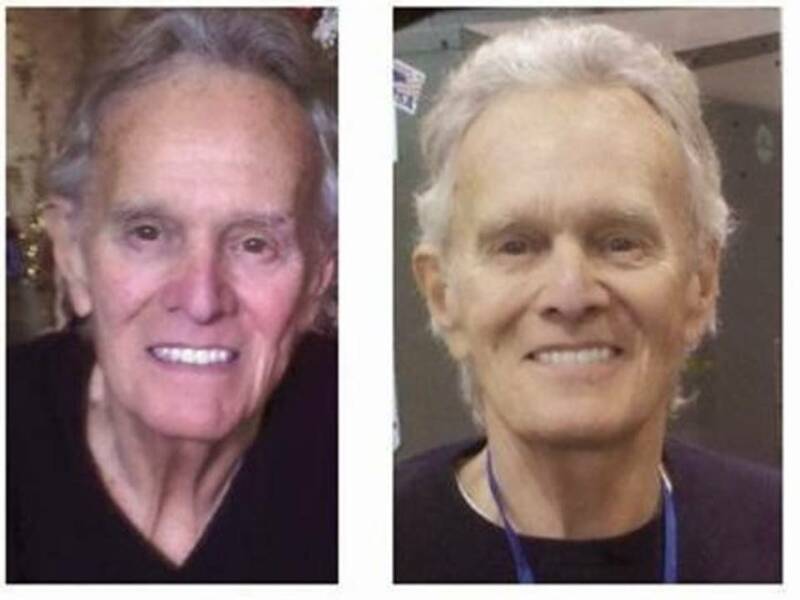 How about a whole body transformation, you are aging all over, not just from the chin up. We do practice, “At First Do No Harm”. Not sure where to start? We suggest our LED Glow Facial. This is our most popular face changing facial and is custom designed for your skin issues and concerns. The LED Glow Facial addresses acne, acne scarring, aging, thinning skin and age spots. Book your LED Glow Facial here today! 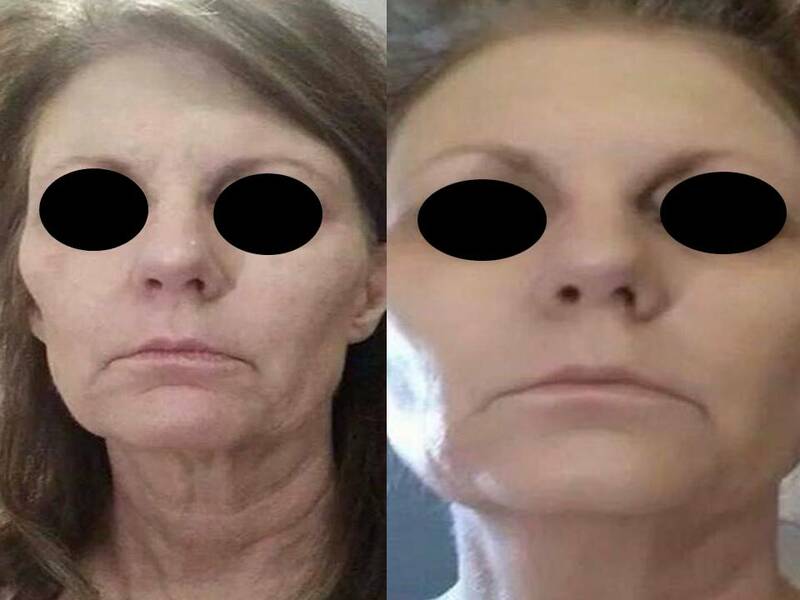 LED Glow Facial – This is our most booked and popular facial and a great way to get introduced to our unique Glow Facial and our Clinical Strength LED light treatment. 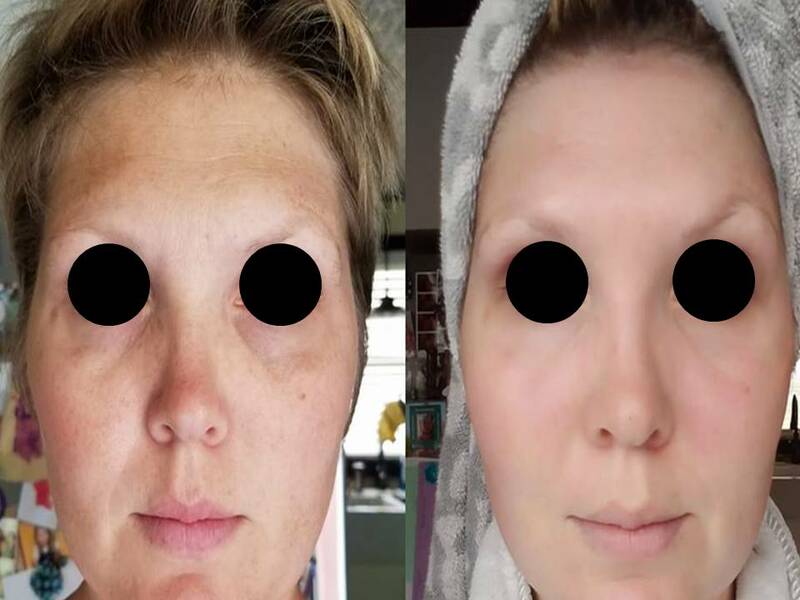 If skin perfection (without drugs, injections, surgery, harsh chemicals, sucking/sanding, high heat and skin burning treatments) is your goal, we are your answer. Building confidence and putting smiles back on faces is our utmost goal. Living with acne is so frustrating. Our Clients learn “their triggers” as to what is causing their breakouts. Recurring breakouts, pimples and acne all have a root causes and are unique and different to each client. Go from “Sad to Glad” in weeks, not months or even years later, but weeks! Our services are proving to out perform on every scale from treating acne, acne scarring,thinning aging skin and and even thinning and balding hair issues. Let me say this, LED Skin Care Spa has no competition. For Real Results from the “Inside Out” Book your LED Glow Facial – HERE! Maybe your frustration is thinning, wrinkled, deflated skin, aging skin. 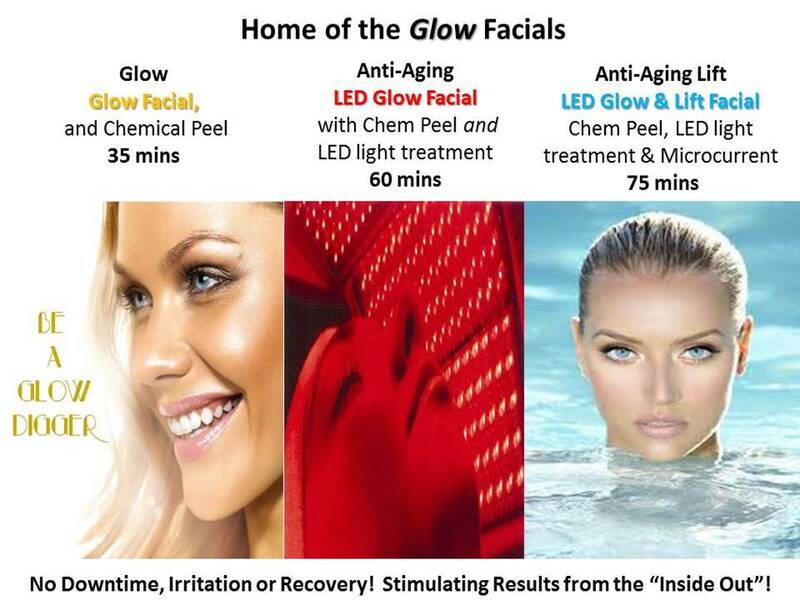 Our LED Glow Facial is an amazing anti-aging. skin firming, plumping facial. 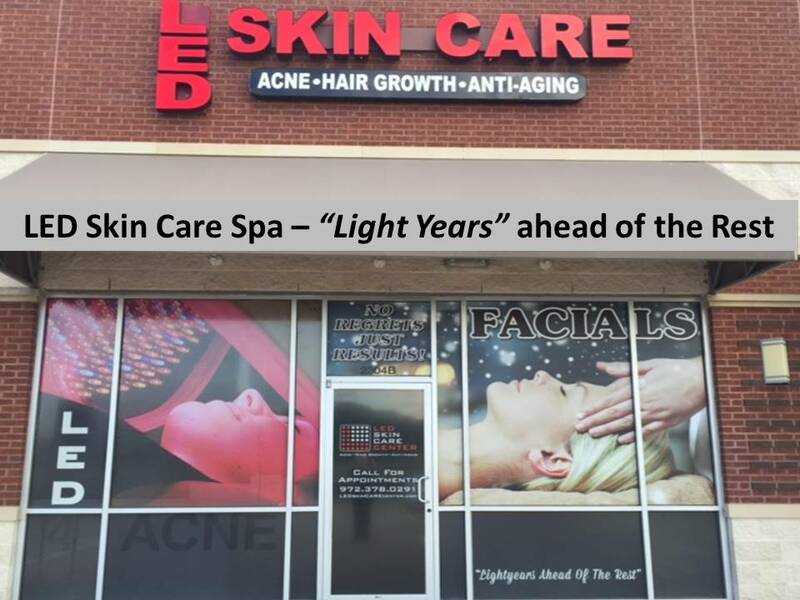 Don’t wait one more day to experience what the LED Skin Care Spa can do for you. Book your LED Glow Facial here today. And because we offer affordable “Clinical Strength” LED light treatments, people travel from all over the metroplex and even fly in town for our “face changing” treatments and facials. See a “Clinical Strength” LED light treatment here. First time guest? Experience our signature LED Glow Facial for just $125, Reg. $310. Don’t Delay, book here today! I moved to Texas and searched for a new spa for facials and it wasn’t until I tried the LED Glow Facial that I stopped searching. Nothing in all my years of having facials has changed my skin so dramatically, so fast. My results get better and better all the time. I would highly recommended the LED Skin Care Spa if you are looking for a change from the normal. I am beyond happy. Thank you. Sheila B – Allen, Tx. Yes, As with everyday activities your should wear sunscreen and apply it every 2 hours. No Beaches, Tanning Beds, Sun Tanning – your face just had a peel – be sensible. Your skin IS aging. I’ll explain more during your consultation. 11. Sleep, skin loves a good nights rest. 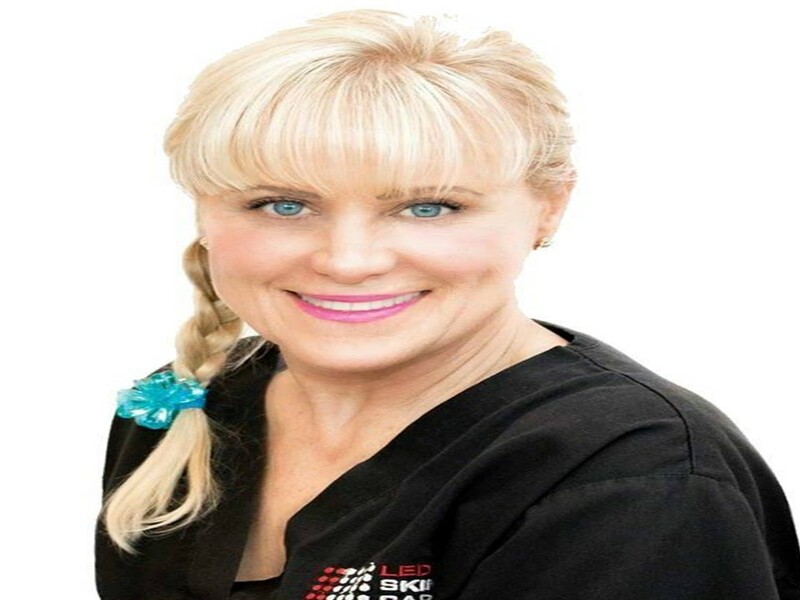 Our “Inside Out” philosophy offers “Progressive not Aggressive” treatments that deliver immediate results that are time tested and science based for healthy, glowing skin. Don’t waste one more minute searching for that “face changing” facial. You have found your new home! Your search for pimple free, healthy, hydrated glowing skin can begin today. Come Glow with us. Don’t delay, Book with us today! LED Skin Care Spa looks at and treats skin differently than the rest. As an aging Baby Boomer – born in 1957, I understand young and aging skin. Aging skin gets thinner, more sensitive and less hydrated with age. Aging skin does not heal like a 20 or 30 year olds skin does. So choosing your anti-aging solution is more about how you heal and your overall health. All this is taken into consideration when placing you on your new skin regimen. Rebuilding the skin from within is what will change your skin. Constant peeling, sucking, high heat and aggressive home care only contributes to your all ready aging skin issues. Marketing plays a big part in how you choose, and most of it IS hype. We’re born as grapes and end up looking like raisins. What is your skin telling you? Liquid Pet Bio Cell works fast! Meet the Gang, we’re walking & running again! Therapeutic Essential Oils – when only the purest oils will do – From “Seed to the Seal” purity. Testing the things we drink – Is yours acid or alkaline? S.E. Corner Midway Rd. & Plano Pkwy. Across PW Baptist Church soccer fields. 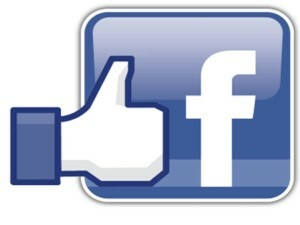 We invite you to like our facebook page to stay up to date with the latest in skin and hair discoveries and more! Be sure to go to our Specials Page to see our latest offerings…Great for Gift Certificates too!